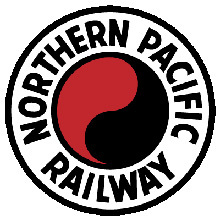 Resources to assist those researching the history of the Northern Pacific Railway. ​Monad Story of the NP ​Images ​The Story of the Monad was an booklet available to passengers of the Northern Pacific's trains. Is was published in Oct. 1950 before the North Coast Limited's schedule was shortened to 39 hours, the Vista-Domes were put in service, and Raymond Loewy redesigned the train. ​Mystery Photos of the NP Images​ ​ Bill Kuebler introduces an NP photo without caption or identifying data which is repeated here with a very high resolution photo showing more information than possible in a printed photo. It will be up to you to figure out the basic what, where, when, and sometimes who of the photo. In addition, Bill may draw attention to some unusual detail in the photo and ask a bonus question or two about it. Readers will then have until the next Mainstreeter issue is published to solve the mystery by answering all the questions. This is not meant to be interactive, but it should be engaging. Just solve the mystery on your own, a rather enjoyable activity that can become addictive. This is not meant to be a contest; there is no prize, but there will be a reward. The reward is not in getting the right answer, but in learning how to get right answers, so you can put that interpretive skill to work for your own future photo studies. Bring to the task all your knowledge of NP equipment, people, and operations, and all your NP materials. You will likely expand your reservoir of information in the process. Refer to books, photos, timetables, special instructions, maps, track data, etc., and confer with friends, to help you solve the mystery. Each photo tells a story, and yet the photo doesn’t necessarily speak for itself. That’s where interpretation comes in. Most photos have far more detail in them (or implied by them) than initially meets the eye. Perhaps most important of all, learning to relate various categories of information to each other, rather than isolating and separating them as we railfans tend to do, will open up whole new vistas and possibilities for future NP photo study on your own. Thus, solving mysteries entails discovery. Historians and modelers, alike, can benefit from this process of discovery. And not least, of course, studying NP photos is just plain fun. What better way to spend one’s leisure time? Bill provides the answers in the indicated Mainstreeter issue. 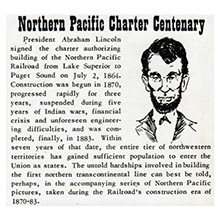 Northern Pacific Information Sources List ​Link to external site that lists many, many sources for NP historical information complied by John A. Phillips III. 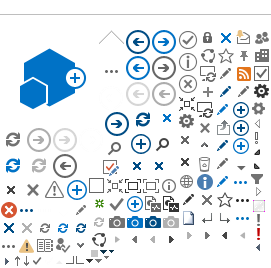 This seciton is under construction. 1933 Flood on St Regis River MT - NP Involvement ​PDF Scans of many Missoulian articles that tell the story of a 1933 flood on the St. Regis River in Montana. The NP and Milwaukee Road were heavily affected. The published some documents that cover the history of the railroad. These items are presented here, and hopefully others will be added over time. 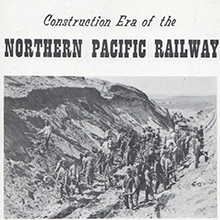 Construction Era of the NP ​PDF ​A small four page document with pictures and narrative on the construction of the Northern Pacific Railway.